Choosing a label that adequately represents your product and brand can seem like an insurmountable task. Even if you have a well-planned vision, turning two-dimensional designs into durable, enticing labels doesn’t happen overnight. Act Mouthwash’s packaging journey illustrates the point perfectly. The company spent months developing an 11-color label that highlighted their clear packaging, yet when their contract packager went into printing mode, it was unable to produce high-quality, error-free labels at high volumes. 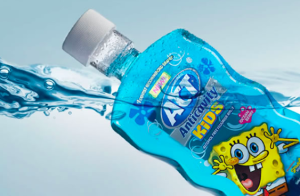 Instead of panicking or throwing in the towel, the design team at Act Mouthwash turned to us. They explained their situation and we immediately knew we had to accept the challenge. Our company culture is built on a “can-do” attitude. Instead of seeing challenges as insurmountable obstacles, we view them as opportunities to grow and learn. To assist the team at Act Mouthwash, we decided to invest in a series of cutting-edge technologies, including additional print stations and a special screenhead for opacity. Not only did our final label meet the client’s design and color requirements, but it also ended up being much more affordable. That’s a great feeling! It’s this attention to detail and commitment to customer service that sets our label work apart from the rest. Whether you’ve worked with us in the past or are a new customer, we look forward to serving you!